*Los Angeles, CA — R&B Hall of Fame Living Legend and six time Grammy nominated Producer/Songwriter and Recording Artist KASHIF performed at the annual R&B Live Festival 2 event on August 3rd at the Fairplex, Pomona Fairgrounds in Pomona, California to a sold out audience of 9000 – plus screaming fans. R&B Live Festival is an annual event that brings a day full of soulful music, positive energy and unity to the community to help raise funding for the National College Resources Foundation, a non-profit organization that helps underserved and underrepresented students get into college. Along with KASHIF, the concert also featured Joe, After 7, Jon B, Carl Thomas and a surprise come back performance by O’Bryan. This was KASHIF’s first appearance on stage in California in over 25 years. “This is my 39th year in music and entertainment,” he announced to his audience. “I am constantly reminded of how blessed I am. The entire audience was on their feet dancing and singing along with every hit, as his band and orchestra delivered that melodic and robust sound he’s known for. KASHIF’s vocals were brilliant, and strong as ever, his passion, love and respect for music was seen and felt by everyone who has ever been touched by his timeless musical genius. The R&B Live concert goers lined the front of the stage with their eyes fixed on him, as he soulfully performed hit after hit, ‘Lover Turn Me On’, ‘Help Yourself To My Love’ and others. The crowd already on their feet went into an absolute frenzy as he shifted gears and began to perform hits that he wrote and produced for other artists. Songs such as ‘You Give Good Love’, performed by the late Whitney Houston, ‘I’m In Love’, performed by Evelyn Champagne King, ‘So Fine’, performed by Howard Johnson ‘Love Come Down’, and many others. The crowd rushed the stage and security had to intervene as he launched into ‘Love Changes’ to end the show. To his credit KASHIF has sold over 70 million records worldwide. This Grammy nominee not only writes music, produces and performs, he is also an author, who wrote and self-published the highly acclaimed book Everything You’d Better Know About The Record Industry considered by many to be the music industry Bible, it has sold over 375,000 copies worldwide! KASHIF has received community awards from the California State Senate, Governor Arnold Schwarzenegger, Los Angeles Mayor Antonio Villariagosa, all five Los Angeles County members of the Board of Supervisors, The Los Angeles County Children & Family Services and others. 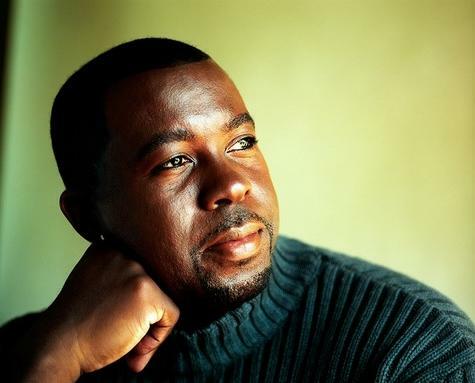 He founded Kashif University, located on the campus of Morningside High School in Inglewood, California, it is an integrated education and arts training program for at-risk-youth ages 8-18. His influence is not only felt and heard in his music, his innovations will benefit the music industry as a whole and will be felt for many generations to come! Kashif is currently producing and directing a ten part documentary series entitled The History of R&B Music and Its Influence On World Culture. Inspired by the murder of Trayvon Martin and the continuous attacks on children, Kashif has taken a brief pause in this project and written an anthem of peace that will be used as remembrance and a call for solidarity. “We are leaving too many of our children unprotected. It is imperative that we stand and pay attention to the constant demise of children all around the world. This is a call for awareness and action globally. We must come together and embrace the cause of taking better care of our children,” he stated. Over the next few weeks he will be filming and recording a “We Are The World” type performance in Los Angeles and New York with various musicians, singers, actors, actresses, athletes, other celebrities and caring individuals from all industries. We invite you to join us in this important project and lend your voice to our contribution in the growing movement for justice and peace. 100% of the net profits from this project are being donated to the Trayvon Martin Foundation and the ACLU. KASHIF remains humbled and driven to help bring a better life to America’s most valuable resource, our children. National College Resources Foundation (NCRF) is a full service student and parent outreach program geared towards underrepresented youth and their families to help restrain the high school dropout rate. In California, only 68% of students are graduating from high school (2009 Alliant for Excellent Education). NCR Foundation has helped over 375,000 students get into college and has given away over $500,000 in scholarships.